Bombay Inn is an Indian Restaurant & Takeaway based on Brixton Hill in the Brixton area of London. Established in 2001, Bombay Inn serves traditional Indian food. Bombay Inn is know for it's excellent service, we are child friendly, air conditioned and fully licensed. Much thought has been given in designing this Restaurant to ensure that the classic theme of the food is enhanced by a suitably authentic atmosphere. To join us please Make a Reservation, visit our Booking Page. Miniumum order value of £20. Can only be used on www.thebombayinn.co.uk. Cannot be used in conjunction with any other offer. 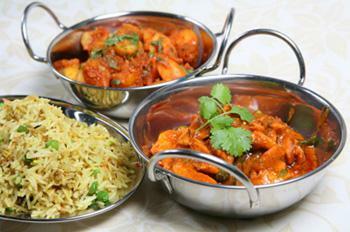 Here at Bombay Inn an Indian Restaurant & Takeaway in Brixton, we have a wide range of menu options. Serving delicious Indian food, we are sure we have something for you to enjoy. £1 Delivery Charge over £10, No Delivery available under £10. Delivery only available to postcodes within 3 miles.